At Team Kenya we try to take a positive approach in representing the people we work with. We know that girls and women living in Ndhiwa face tremendous difficulties, but we also know that they are strong, passionate people with the desire to work and help themselves and others – they are not helpless. You may notice many of our photographs show happy, smiling girls and positive images of our girls’ lives in Ndhiwa, this is intentional. However, we do also feel there is a place for the less positive side of our story, the need, the reason we exist. Beatrice is one of the girls we support, you can read a little bit about her life in her profile below. My name is Beatrice Auma, I am 11 years old studying at Bongu primary school. I am in class four this year. I was raised in a family of four siblings and our family lives in a pathetic condition; both my parents are peasant farmers I experience many problems at home. We live in a house made from mud and straw roof, our floor is wet, especially during the rainy season, hence there is a problem for those of my family who sleep on the floor, including myself. We do not have any source of lighting in our home, no electricity or solar power. This makes it very difficult for me to keep up with house chores and home work and so I fall behind in school. My parents are poor and try as they might they are not able to meet my basic needs. We usually eat one meal a day and I can not have sanitary towels, medicine or basics like soap or underwear. Team Kenya are supporting Beatrice and her family, with our support we hope their future’s will look a little brighter. 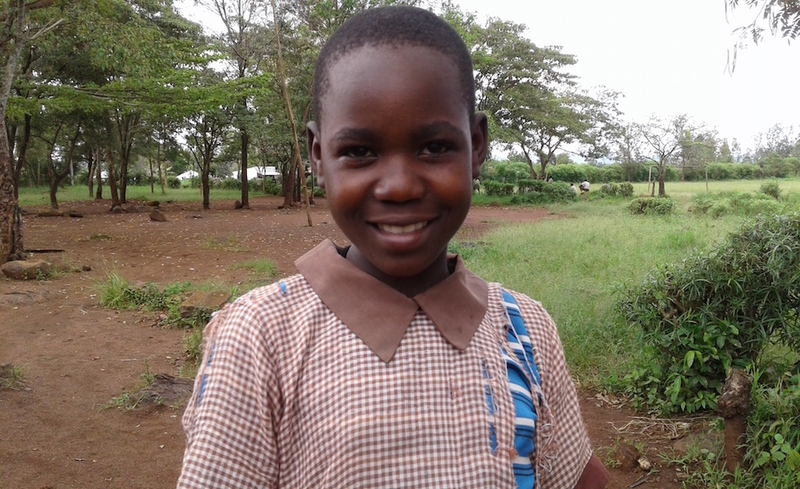 If you would like to support girls like Beatrice you can do so by making a donation on our Donate page.